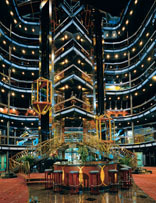 Carnival Fascination is one of the many elite fantasy ships from Carnival Cruises. 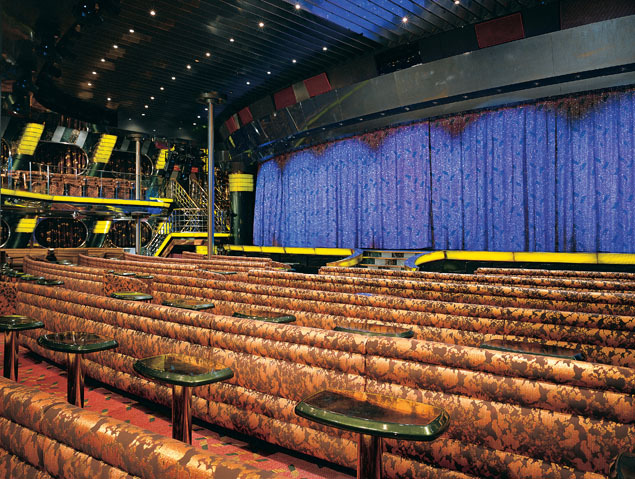 This ship has been around for a long time, and since it has been so popular, Carnival renovated it with a multi-million dollar facelift! 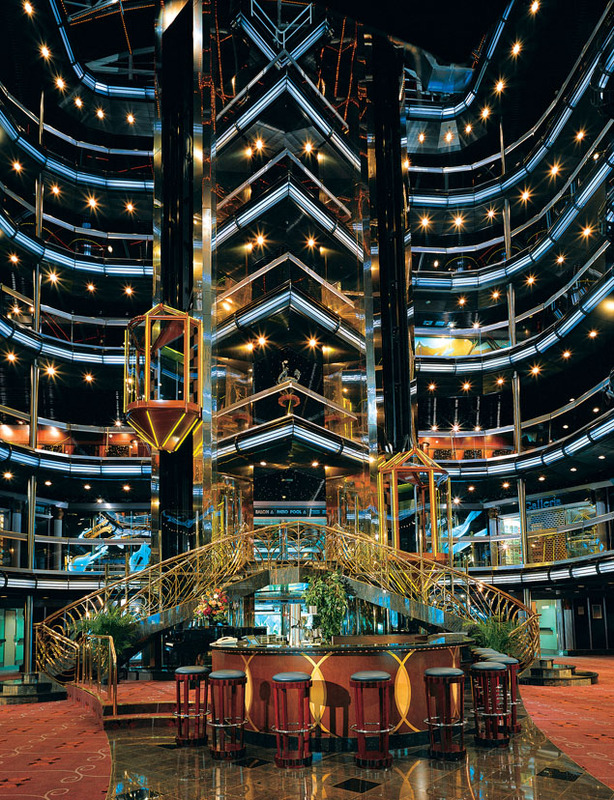 A six-story atrium complete with bar, a great new sushi bar, and some other surprises are in store for you from the moment you set foot on this ship. Play outside and take a ride on the Twister waterslide, or play 9 rounds of miniature golf on the Sun Deck. Relax poolside and sip a cocktail, or go try your luck at the new Casino Royale! Spend some of the money you win in the duty-free stores, and once you have worked up an appetite, stop by any of the top-notch restaurants. With menus offering anything you could possibly think of - from comfort food, to gourmet specialties - there is something for everyone, even the fussiest eater! 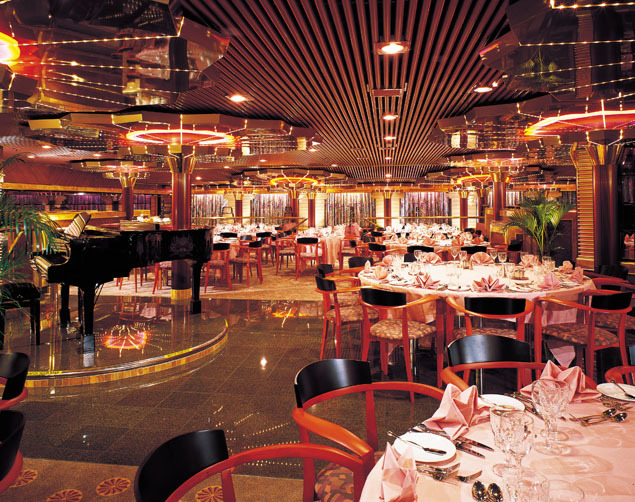 Once you have eaten, digest your food and wander through the magnificent art gallery on the Empress deck, and admire the paintings. Want to spend some time away from the kids? Send them to Camp Carnival - a special group for kids aged 2-11, or to Club O2 for the teens. 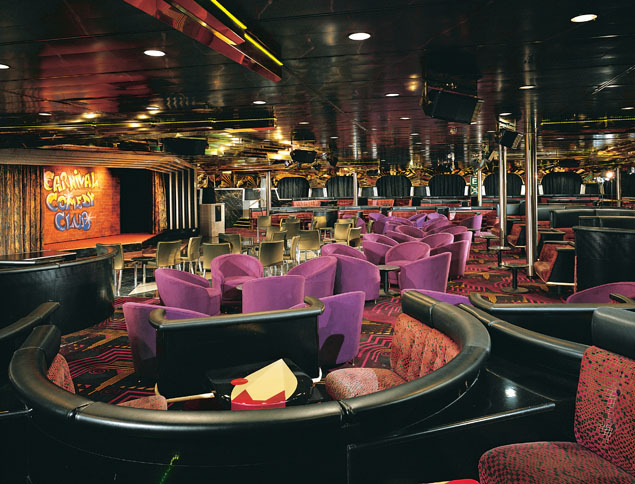 Later in the evening, have a cocktail at the bar, or show off your dance moves in the nightclub onboard! Fascination has plenty of activities for the adventurous traveler. If you like to relax and exercise your mind, check out the Tara Library, card room, radio room, or closed circuit TV and movie rentals. If you like to exercise your body as well, you will find a 1/8 mile jogging track, Nautica fully equipped spa and health club, six whirlpools, aerobics classes, shuffleboard or swimming in one of three outdoor pools (including one just for the children)! For the shoppers, the Galleria Mall features duty free goodies, gifts, and jewelry you can handle! An onboard beauty salon and barbershop will ensure you look your best at all times. If you appreciate food, consider your many dining options. Fascination’s formal dining rooms offer an exquisite culinary experience including fresh lobster and a tremendous selection of wines, as well as great service! Fascination also offers the Supper Club, which is a reservations-only, chic Manhattan-restaurant setting. Offering your much-loved menu items from an upscale steakhouse, the Supper Club guarantees to please you with every bite. For the more casual diner, there are midnight buffets, a 24-hour pizzeria and even European Cafés to satisfy any craving! The youngest members of your family can enjoy the kids’ menu, which offers all of their favorites including pizza, spaghetti, and meatballs, hamburgers, hotdogs, and much more! Once the sun goes down, the party begins! 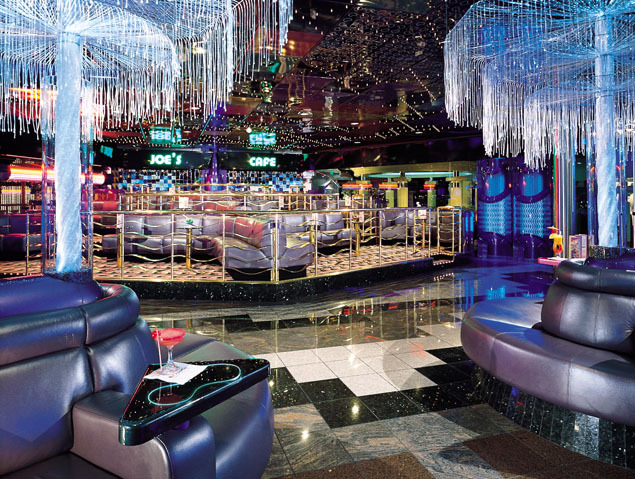 With so many choices and so little time - will you go to the 88 Piano Bar, or to the Paris Lounge (which features a 2-level showroom with shows that will remind of Vegas!)? 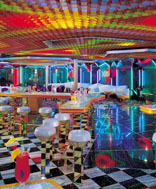 With hot nightspots like Diamonds Are Forever Disco, Hollywood Boulevard (which features life-like features from your favorite movies), Passage to India Lounge, Puttin’ On the Ritz show lounge, Beverly Hills Bar, Coconut Grove Bar & Grill or Bogey's Café you’ll have something different to do nightly. 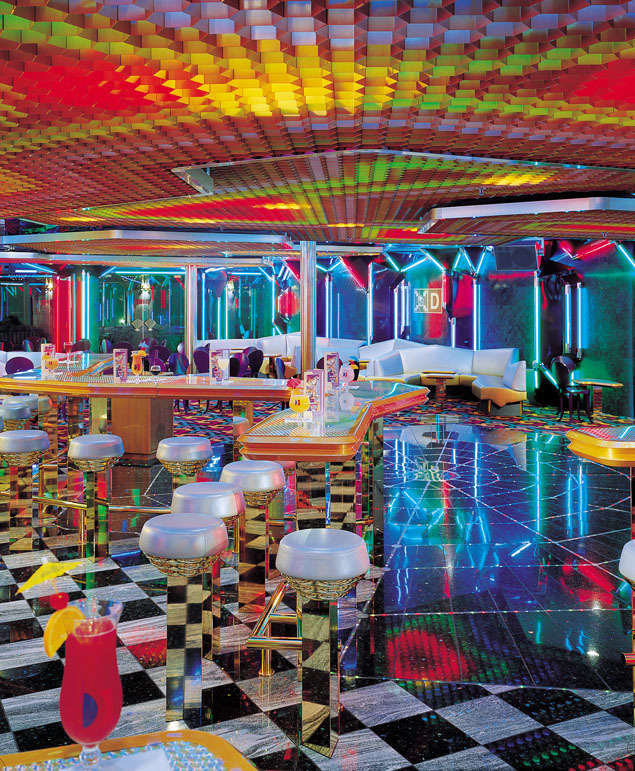 For the teenagers, they have a special Teen Disco Club.